Attention, urban fantasy fans! 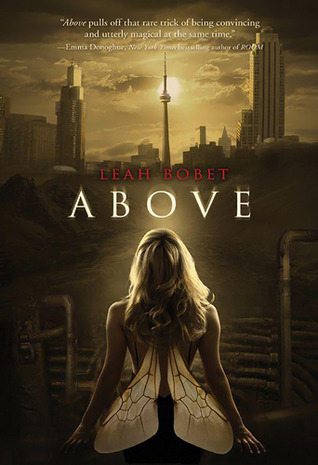 We've got an interview for you: debut author Leah Bobet, who Skyped with us all the way from Canada. Her book, Above, came out last month from Arthur A. Levine Books. In this episode of the podcast, we talked about fanfiction for a TV show that doesn't exist, Leah's writing process, and Canadian literature-- which, as we were rather delighted to learn, is called "CanLit." Want to download this podcast? Click here for a mp3 or find us on iTunes! Hosting courtesy of archive.org. Intro music by 46bliss. Song of the month is "Bumblebee" by Rachel Brown. Special thanks to our sound engineer, Erica, for editing the interview in this episode. Be sure to subscribe to Authors are ROCKSTARS! on iTunes!